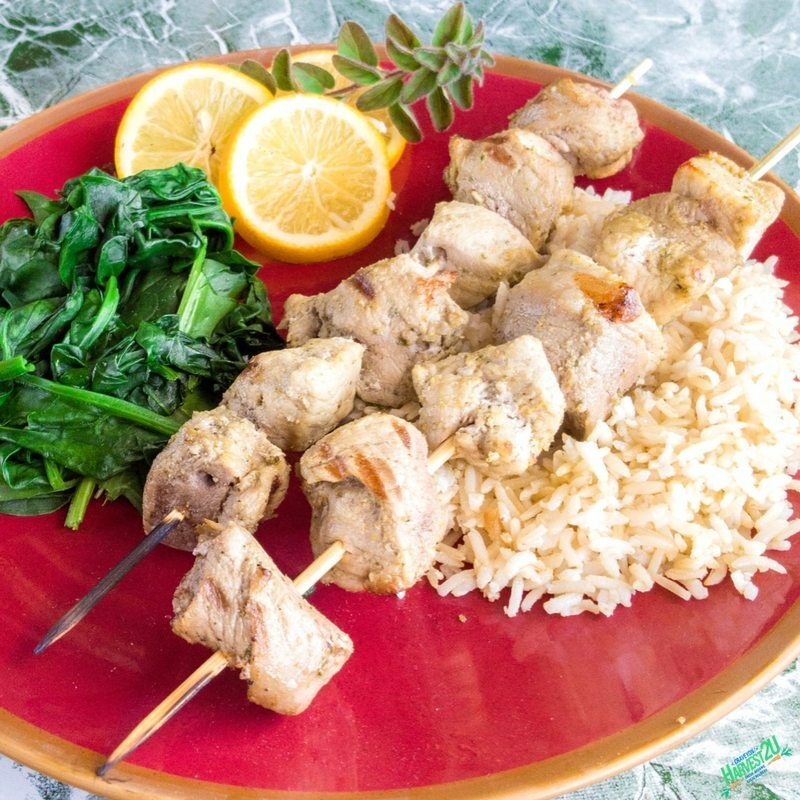 This simple Lemon Oregano Kebabs marinade imparts a delicious flavor to pork or chicken. Fresh oregano is loaded with antibacterial, antioxidant and anti-inflammatory compounds. It is used extensively in Mediterranean cuisine. We are giving it a Greek flare with the addition of heart-healthy garlic and olive oil as well as some antioxidant boosting lemon. Cut the pork or chicken into 1-inch cubes. Using a blender or food processor combine lemon zest and juice, oregano, garlic and olive oil until smooth. Pour over meat cubes and let marinate for 1 -4 hours. Soak bamboo skewers in water at least 10-15 minutes before cooking. Put the meat on the skewers (it cooks faster and more evenly if you don’t overcrowd them). Grill or broil until cooked thoroughly.